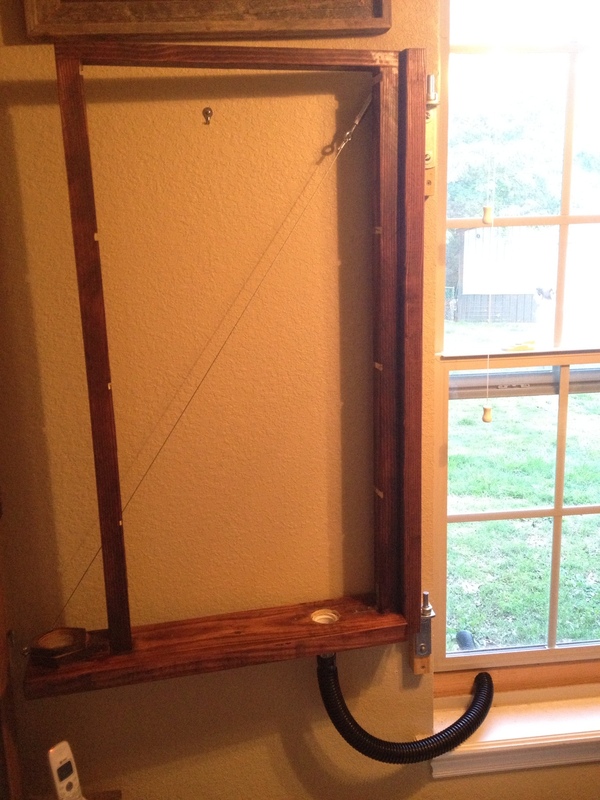 DIY Bottom-Board using 2×4 scrap! This is one of those projects that is easy and rewarding. Using a single 2×4 you can make 2 and 1/2 bottom boards that look good and are very functional. It takes minimal skill and time to make and can save you some serious cash over making the purchase. #8 hardware cloth for screened bottom or corrugated campaign sign for solid. Cut your 2×4 into 24″ sections. If you’ve got a full length 8′ 2×4 then go ahead and cut 4 sections. You might as well make 2 while you’re at it! Cut your 1×4 into 14 and 3/4″ sections. Run the 2×4’s down the saw so that the 3/4″ piece is down and is “cut out” of the board. Square everything up, glue and nail it all together! Turn the 3/4″ scrap so that it is flush with the top of the sideboards. The 1×4″ landing board will sit down below the top edge of the sideboards. This is where your Bees enter the hive! Lay out your hardware cloth on the bottom board and trace your pattern. 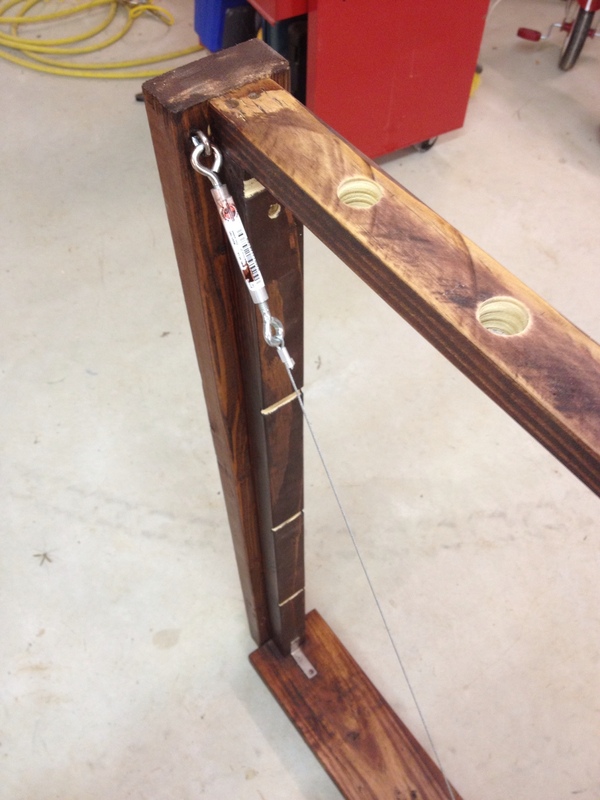 Be sure to leave a around 1″ extra on each side so that the hardware cloth can roll up the side of the board. Alternatively, you can use more of that scrapalong the bottom edges of the side board to give you something to tack to (see video). Also, make sure that you leave enough in the front and back to tack to the 1/4 landing board and the 3/4″ scrap at the back.This is where you’ll tack the hardware cloth to the bottom board. Nail, glue and staple it all down. Become a Bee Real Estate Agent and get FREE Bees!!! The most daunting thing about getting into beekeeping is how to obtain your first batch of bees. Most aspiring beekeeping are held back by this one dilemma. Equipment isn’t hard to obtain. If you are handy with a table saw and hammer you can make your own boxes fairly easy, and frames and protective equipment are cheap to purchase. Most of this site focuses on how you can make or obtain all the equipment for cheap. However, the most expensive item a new beekeeper makes is a package of bees. There are a lot of risks buying a package of bees. What if it gets lost in the mail? What if the queen dies in shipment? How do I install them and release the queen properly? And all these unknowns come with a big price tag. So in this article I’m going to take you through how I got my first bees and it cost me absolutely nothing! First I got my equipment ready. I made a few deep boxes and bottom boards and a few 5-frame EZ nucs (see Initial Equipment page for more info). I bought some frames, a smoker and a veil. I was basically a beekeeper minus the bees. So then I started setting bait hives. To understand how bait boxes work you must understand how bees swarm. Swarming is the natural reproduction of a hive. 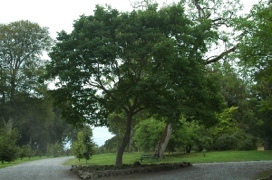 When a hive is well established and has enough stores for the coming year they will naturally begin preparing to swarm. 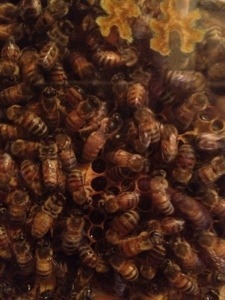 Nurse bees will start building queen cells and raising several queens. Before these queens hatch, the existing queen will leave the hive with around half of the population. I’ve never seen a swarm leave the hive, but I’m told it’s an awesome sight. Some say you can feel the energy in the air. Anyway, the old queen and half the bees leave the hive and then cluster on a branch or object. The old hive is now on it’s own. One of the queens will hatch out and become the queen of the old hive. She’ll take a mating flight about 9 days after emerging and come back and start laying eggs at about the 2 week mark. Back to our swarm that left the hive. Before they even leave scout bees are already out looking for a place for this swarm to live. That is where your bait boxes come in. 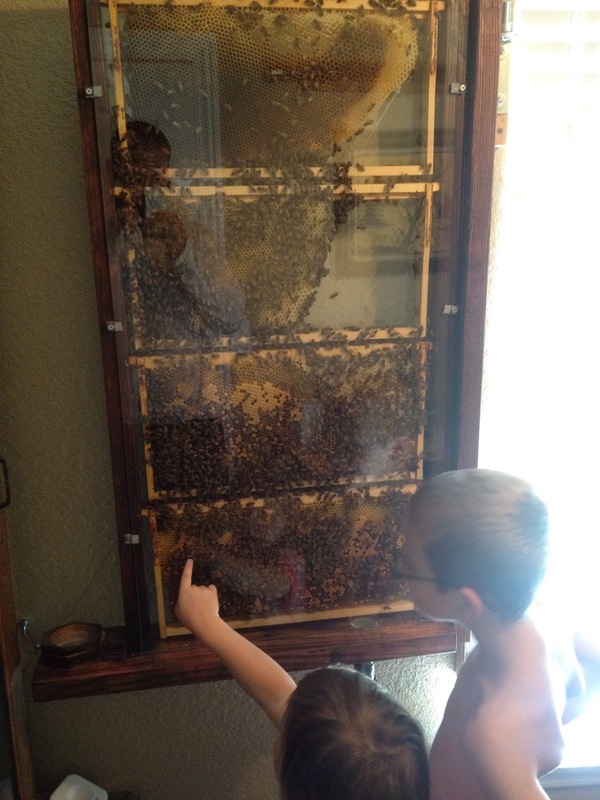 You want to entice these scout bees to bring their family and move into your box. Basically you need to be a bee real estate agent. It has been shown that bees prefer a home around 40 liters (Seely, Morse & Nowogrodzki – 1914) It just so happens that a copy box is about that size! The next thing in a good bee home is furniture. Bee’s need something to attach comb to, and it just so happens that a copy box will accept 2 deep frames from corner to corner. These frames can be foundation-less with a starter strip rubbed in bees wax or they can be foundationed frames, but be aware that wax foundation can invite wax-moth and rodent infestation. The last thing your real estate will need is a little air freshener. Bee swarms naturally give off a pheromone that has a lemony smell. It is hard to explain until you have smelled it. Lemongrass oil is a very good mimic of this pheromone smell and will work to attract scout bees. After you’ve had bees for a while you can also use queens you are “retiring” to make a swarm attractant, but for newbies lemon grass will work. I bought a small bottle on amazon for around $4. A few drops of this liquid on a cotton swab is all it takes to freshen up the new house and start attracting potential clients! You know what they say about real estate: “Location, Location, Location”. Getting your bait boxes up off the ground is important and mimics the fact that most natural hives are in tree hollows. I use the copy box method under porches and even in the rafters of sheds. Set out your bait boxes around March and the more you have set the better your chances are. 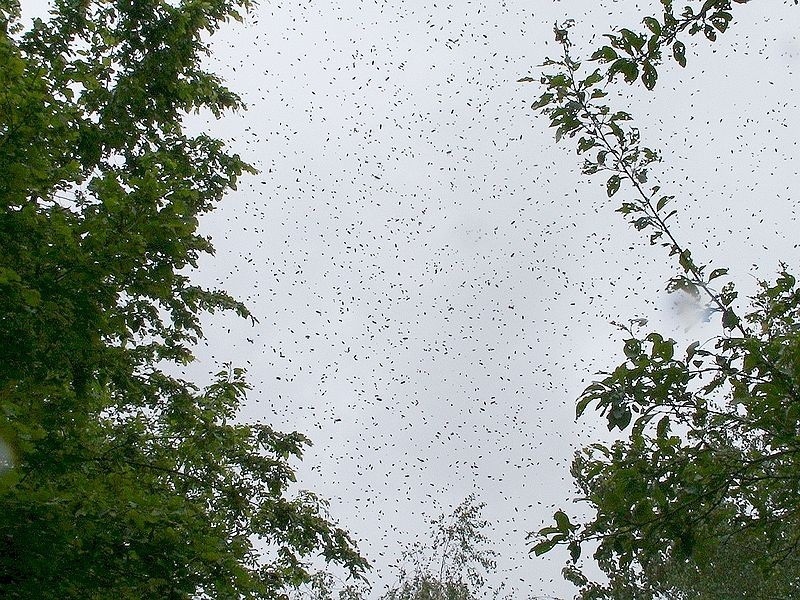 Most of the country sees their swarm season peak in May, so get those boxes out there early. It takes luck and patience but there is a chance you’ll see bees working your box right after you set it out. Hopefully, within a few weeks you’ll have a swarm. Be sure to check them every day because you don’t want them making a lot of comb in the bait box, they need to save that for the hive you have ready for them. 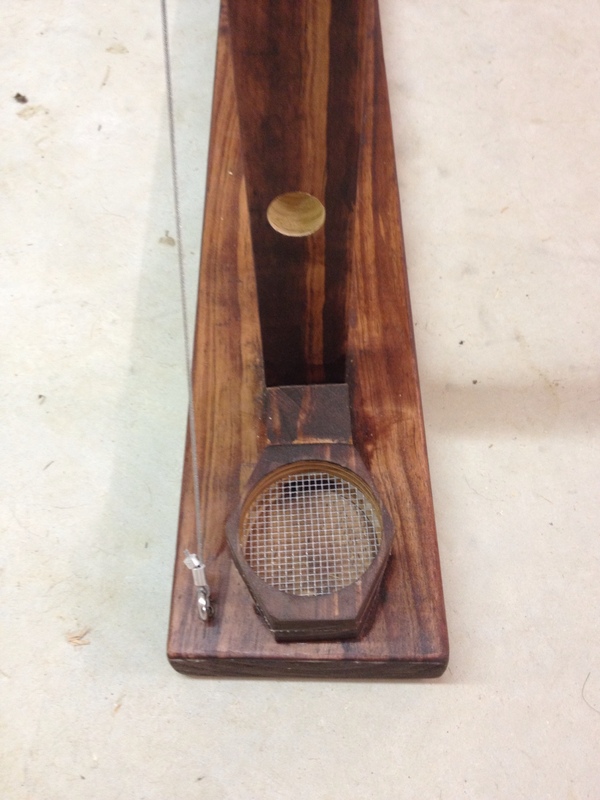 Speaking of the hive you have ready, go ahead and set it up and put some lemon grass oil in it. You never know, a swarm might move into it and make your life really easy. 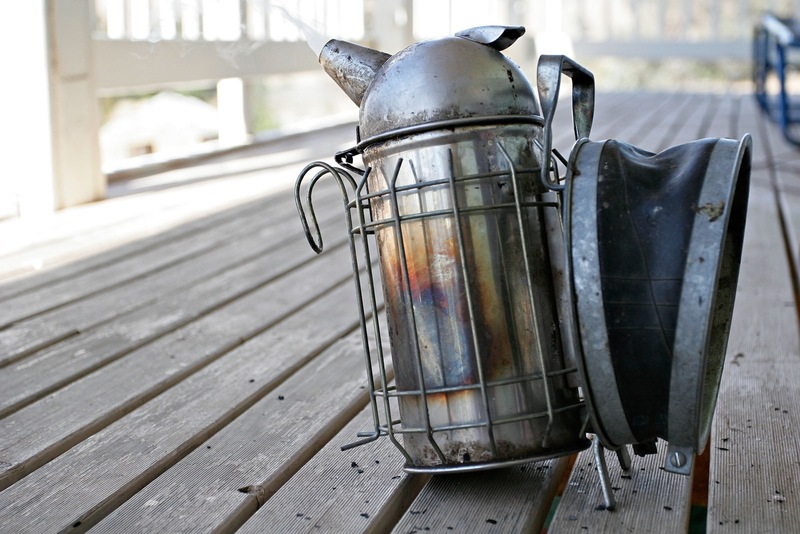 Click here to read more about my copy box swarm trapping experience. Swarm moving into a bait hive. If you don’t have time to wait on bees then swarm trapping may not be for you. 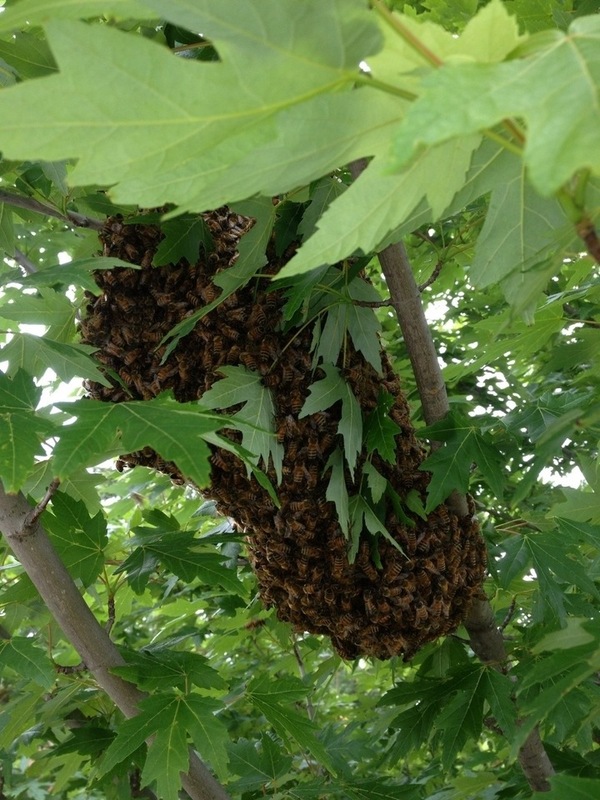 You might also be thinking that you want a certain strain of bees, but don’t let that stop you from swarm trapping. It is much cheaper to catch a swarm, install it and then buy a queen in the breed you want and re-queen your newly caught hive with it. A few months after re-queening your hive population will be the new queen’s offspring. It is just like buying a split in a certain breed, only a lot cheaper! I personally, like the fact that I got into beekeeping entirely on my own. I’ve learned a ton from others on the way, but getting bees was done all by myself. Plus it’s also a cool story to tell people when they ask where I got my bees! The first thing any aspiring beekeeper needs to do is research. Read, read, and then read some more. Two sites I used extensively as I began my beekeeping journey were BeeSource.com and Michael Bush’sThe Practical Beekeeper. Mr. Bush has several books on amazon that are a great read, though, even he admits that most of what is in the book is also on his website! In addition, Langstroth’s The Hive and the Honeybee is avaliable for free and is a great read for the beginning or even the experienced beekeeper. If you’re a hold a real book in your hand type of person, it is also available for fairly cheap on Amazon. After doing research you will begin to develop your own “philosophy” on beekeeping. These are just initial ideas, because you don’t have any experience to really develop it further. However, these ideas are a necessary starting point. For example, after your research you should know if you want to go with 8-frame or 10-frame hives, all medium brood box or traditional deep boxes, Top bar hives or frame hives, foundation or foundation-less, and on and on. 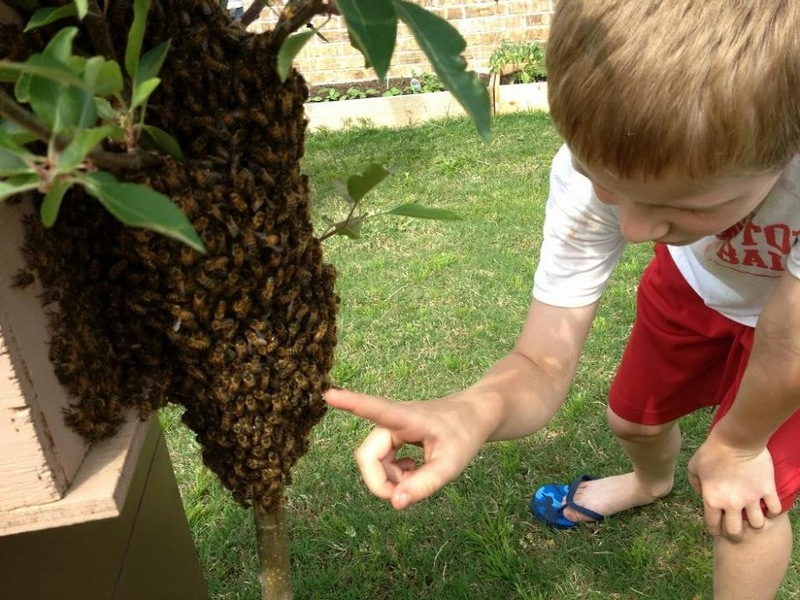 All your ideas probably won’t work for you and you’ll evolve a lot as a beekeeper once you start working bees, but you need to make these initial decisions now and not when a swarm of bees is sitting on your porch. After your research has developed into a philosophy it’s time to create a plan. My initial plan was to build easy 5-frame nucs and a few deep 10-frame boxes. Add in some basic equipment and frames ordered online and the initial cost was very manageable. You can read more about initial equipment costs and how to build a lot of it on my Equipment and Costs Page. Once you have your equipment ready it is time to start pondering how to get your bees. There are several ways to get bees. Take a beekeeping class: Many times if you join a local beekeeping club you can pay to take beginning beekeepers classes and the club will help to provide you with a swarm of bees during the swarm season. The only problem with this is that you are not guaranteed swarms will be available for all the students that year, but this is still a very good option if it is available to you. Personally, I had a 2 year old and a 6 year old and getting away from home that many nights for a class wasn’t going to happen! Buy a Package of Bees: So you might be asking, how am I supposed to get bees? Well, you can always buy them, but be prepared to drop a good amount of $$$ on it. I would avoid buying a package. A shipped package requires a lot of care to install and ensure the safe release of the queen. There are a lot of things that can go wrong in that process, and the shipping is a risk in general. If you are going to buy then a local split is the best option. That way you get local bees that you know can survive in your climate and they come installed in a nuc with a queen. You are going to pay for these avantages. Be prepared to drop $150 or more on a nuc split that has a laying queen. Catch Your Own Swarm!! !If you’ve read this site much you’ll know that I’m EXTREMELY frugal, so paying for a package that might show up with a dead queen or a split that costs an arm and a leg are not things I would do. So how did I get my bees? I caught a swarm on my front porch. Don’t get confused about swarm retrieval and swarm catching. Swarm retrieval is when a swarm of bees clusters on a bush or some object and you somehow get them to go into a box so you can take them home. There are tons of videos about swarm retrieval on youtube if you are interested. On the other hand, swarm catching involves putting out bait boxes for bee swarms to move into and then waiting to see if the bees come. 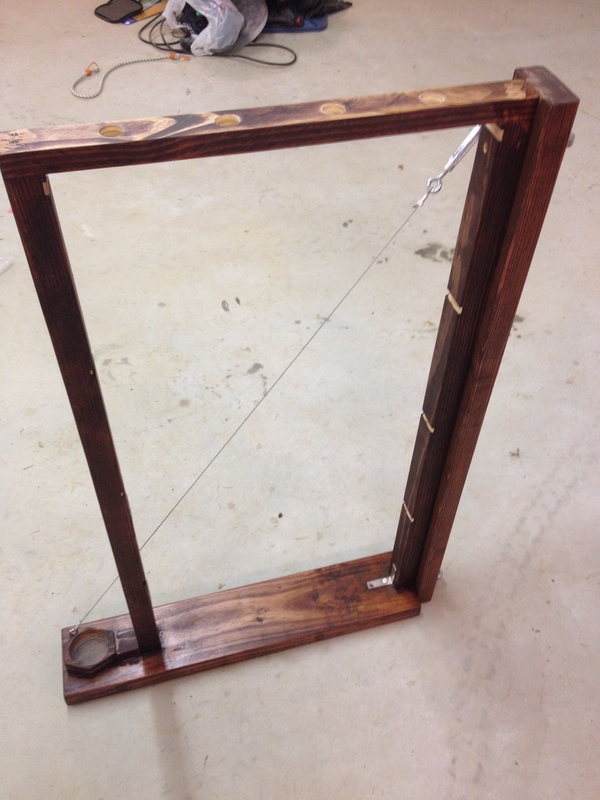 For those who fish, it is kind of like setting a trotline. You set your line and then check it everyday to see if you’ve caught anything. 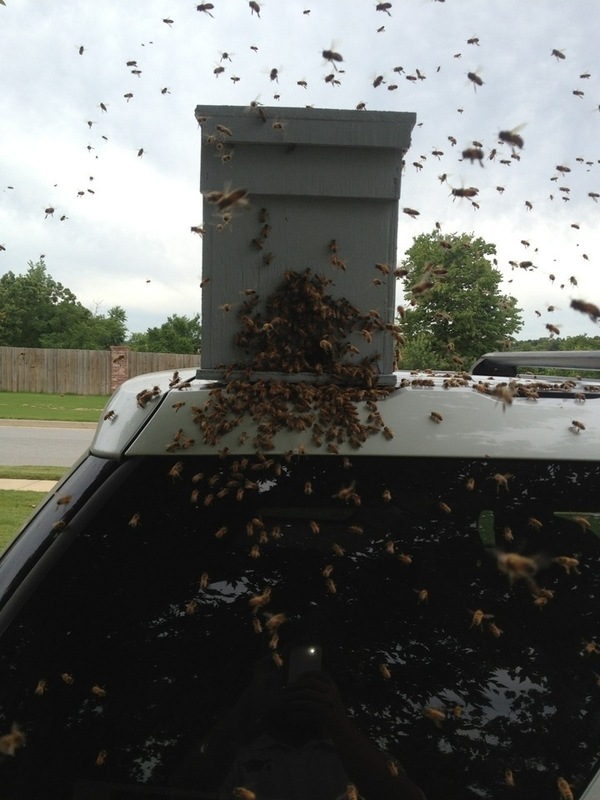 I sat out a free copy box swarm trap on my front porch and was surprised to find it full of bees only a week later! I then installed (read dumped) those bees into a hive and reset the bait box a few weeks later and to my amazement I caught another one! That was 2 swarms in one year in the same place! I might just be lucky, but it worked for me so it’s worth a shot from you. It won’t cost you anything to try. Read more about it in my How to Get Bees for Free article and see the copy box plans and video of me dumping the bees into a hive here. A lot of my beekeeping philosophy comes from reading Langstroth’s The Hive and the Honeybee (download here for free) and Michael Bush’s website (www.bushfarms.com). They both comment that much of their knowledge of bees comes from observing them. In fact Mr. Bush states that “I have learned much more from [observation hives] in a year than many years of keeping bees in a hive.” I’m a geek at heart, and what is geekier than having a frame full of bees hanging in your office? So I set out to make my own observation hive. As cheaply as possible, of course! After getting the sides and top of the hive frame cut, I used a table saw to cut 1/2″ grooves in the two upright sides. These grooves are where the frame tabs will sit. I found it easiest to cut these by putting my two side pieces together and running them both across the dado blade at the same time. This ensures that the groove will be in the same height on each side so that the comb frame will sit level. 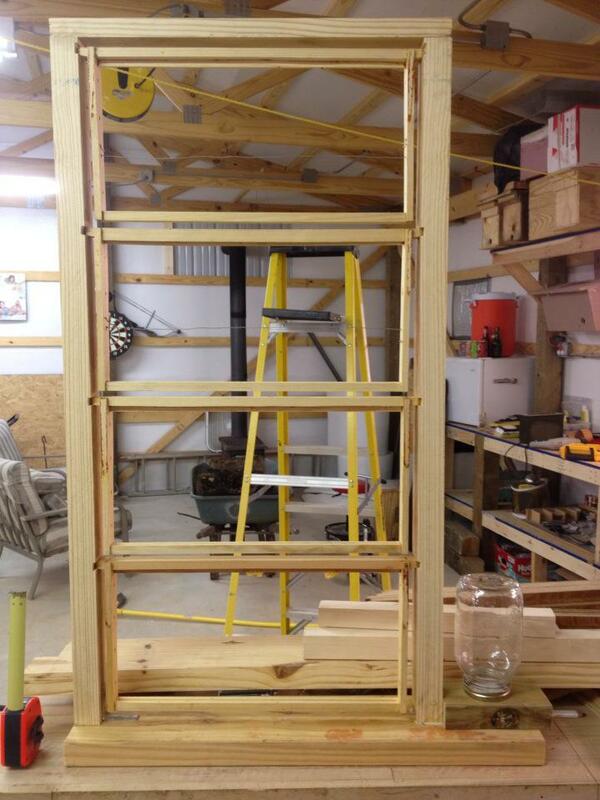 The tricky part is making sure that you leave 3/8″ bee space between each frame. I found the best way to do this was to cut a notch then lay out both sides pieces on the floor with a deep frame in the groove. Then measure down 3/8″ to mark the top of my next notch and cut it. In the end it worked out alright. I added an additional 2×4 across the back of the frame for support and used stranded wire with an adjustable bolt to give even more support when its full of honey. I cut ventilation holes and backed them by stapling and gluing #8 hardware cloth so the bees can’t used them as and exit into my house! To mount the hive I used gate hinges attached to the back of the hive and to a stud in my office. For an exit I used liquid nails to attach a 1 1/4″ fitting in to hole in the base. Then you can buy sump pump tubing at most big box hardware stores for less than $1 per ft. I then took a piece of 1×6 cedar fence plank and cut it down to the correct length to fit into my window slot. 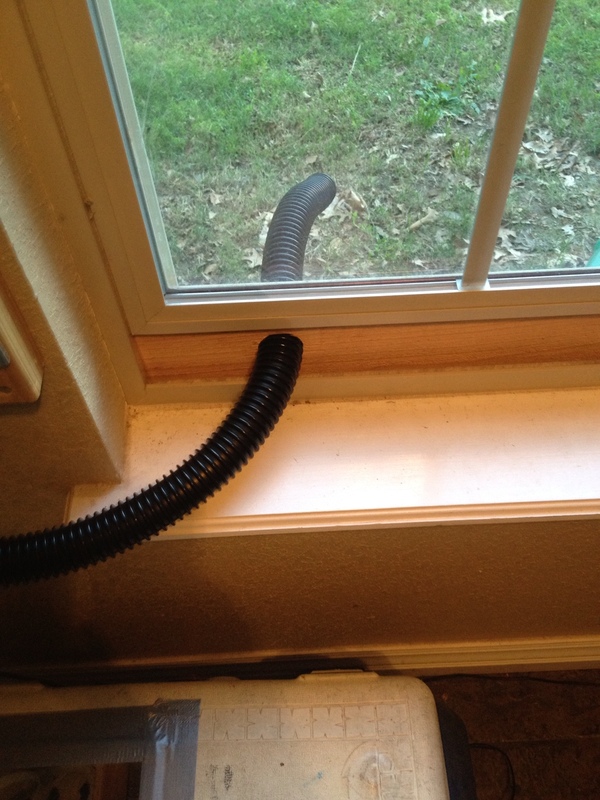 I used a hole saw to cut a 1 1/4″ hole in the plank and feed the tube through it for an exit. Here are some more pictures to see how it mounts and the tube exit works. Dropping $80+ on something isn’t what I would call cheap, but when you compare how much you’ll pay for a hive similar to this it’s extremely reasonable. 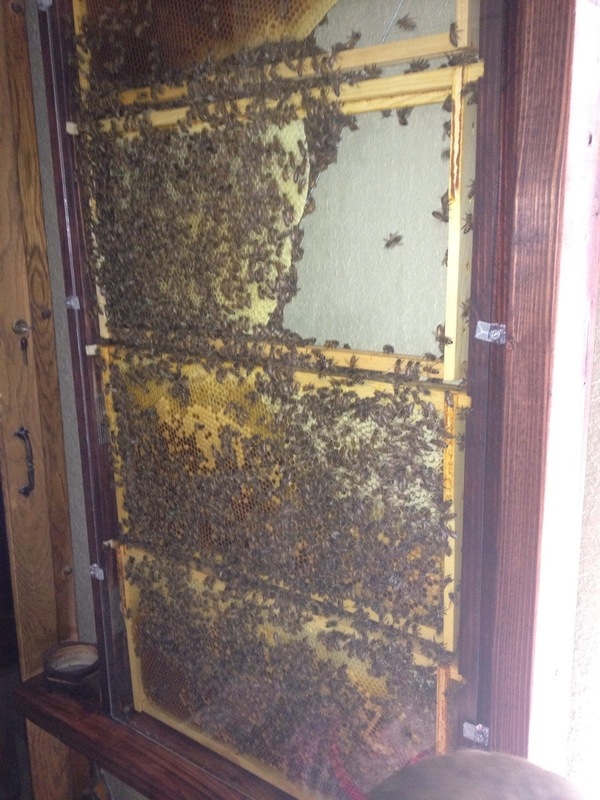 Here are pictures with the bees in and the glass on. See if you can spot the queen in the first pic. 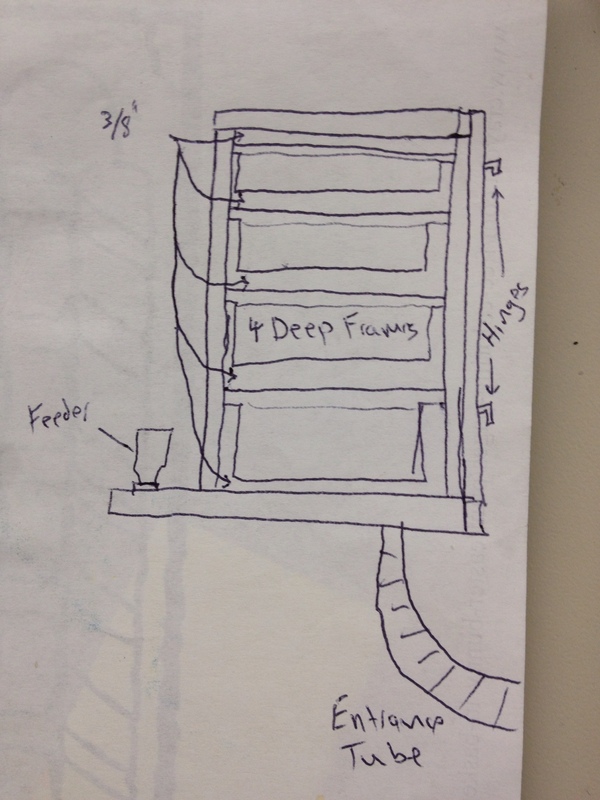 I’ve got several ideas for articles and projects that I want to put on Cheap Beekeeping. So as a way to let you know what’s to come, and to keep myself from forgetting them I’m listing them here. It isn’t always necessary to plant food sources for your bees, but it definitely doesn’t hurt. Plus it’s a cheap and rewarding way to help boost your honey harvests. When selecting plants it’s best to look for plants that have an extended or delayed bloom. From early-Spring to early-Summer things seem to always be in bloom, but mid-Summer into Fall is usually what bee keepers call a dearth. Dearth is a very gloomy and depressing word for a time when no pollen or nectar is available for your bees. It’s no coincidence that the word dearth is just one letter away from the word death. If you’ve harvested too much honey or it’s been a bad year for flows, a dearth can spell the death of a hive. I lost my first hive to starvation after a very rainy spring and then a hot dry summer. The girls just didn’t have enough stores even though I didn’t harvest that year. The hive emptied out during the fall dearth in October. If I had been more experienced I would have known they were low and feed them sugar water to salvage the hive until the next year, but if I had planted food sources that provided late summer flows they might have survived on their own. 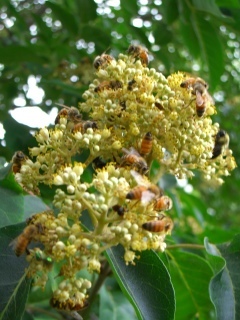 One of the most talked about late flow sources is the Korean Evodia (Tetradium Daniellii) also known as the Bee Bee Tree. 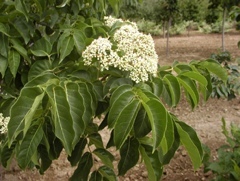 This tree blooms in mid-Summer and provides a strong nectar flow when most other plants and trees have long stopped producing. For a few bucks you can pick up seeds or seedlings from eBay or from suppliers on many bee keeping forums. It will take several years to start producing enough blooms to be a major contributor to your honey production, but patience will pay off.